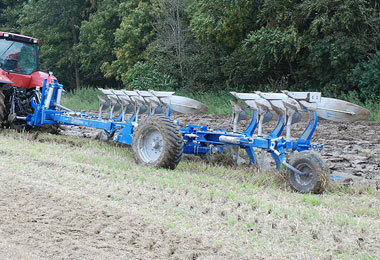 Overum manufacture a large selection of Reversible ploughs from 4 furrow fully mounted, mid-sized semi mounted to the large 10 furrow wagon plough. 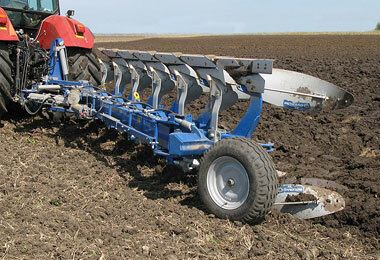 DVL-H 5-8 furrow semi mounted plough. 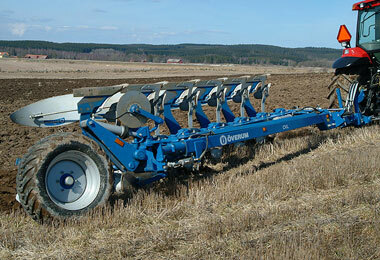 Details:- Hydraulic working width and auto reset.